One of Central Texas’ most remarkable new master-planned communities, Headwaters, is coming to life! The community will feature an array of stunning new residences from three noted builders, Drees Custom Homes, David Weekley Homes and Trendmaker Homes. As model homes continue to take shape in the community, the builders have announced prices from the mid $300,000s to the low $600,000s. Nestled in the picturesque Hill Country, Headwaters boasts sweeping views and acres of natural preserved ranchland, but is only minutes from Austin nightlife, world-class dining and employers. The community will span outward from a resort-style amenity center and offer plenty of gathering spaces. Pedestrian-friendly planning and design focused on healthy lifestyles and connectivity and will offer eight miles of trails, parks and open space. Drees Custom Homes has made energy efficiency a hallmark of its new homes, consistently scoring higher on the industry standard, Home Energy Rating System (HERS), which calculates efficiency and performance. Drees’ homes typically score 65-70 points better on HERS scores over typical existing homes, making them easy on the planet and your wallet. In Headwaters, homes will range from 2,800 to 4,700 square feet with three to five bedrooms and two to five bathrooms. Situated on spacious 70-foot sites, these homes will start in the high $400,000s. David Weekley Homes, the largest privately owned home builder in America, will be offering homes in Headwaters that appeal to multiple generations. Home prices will range from the mid $300,000s to the high $500,000s, and are available on 50-foot or 80-foot homesites. With their impressive collection of accolades and awards (including two-time “National Builder of the Year” and “America’s Best Builder,” among many others), David Weekley Homes was the first home builder in the United States to be awarded the Triple Crown of American Home Building. Homes will have three to five bedrooms, two to four and a half bathrooms and will range from 1,800 to 4,200 square feet. As one of Texas’ top home builders, Trendmaker Homes has delighted families with exceptional homes for over 45 years. Delivering high standards from the start, Trendmaker Homes is offering homes from 2,426 to 3,197 square feet, with three to five bedrooms and up to four and a half bathrooms. 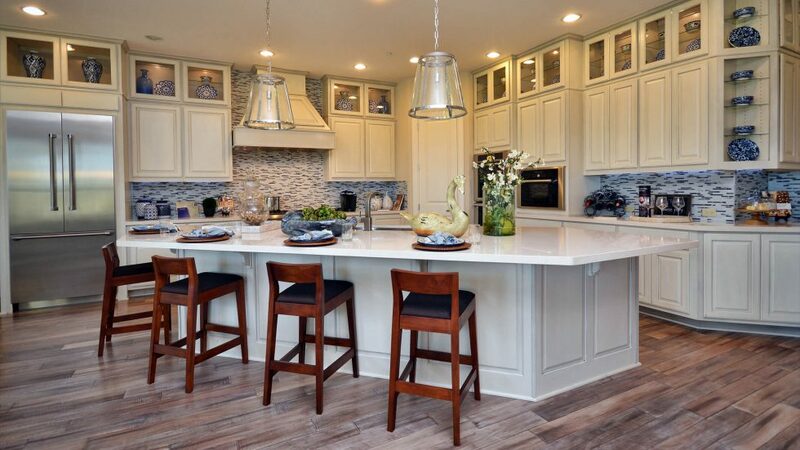 A premium home builder, Trendmaker includes designer-selected finishes and features in all its homes. Prices will start from the high $300,000s, and homes will be situated on 60-foot home sites. Interested in learning more about Headwaters? Join our Founders Club to be the first to learn about Headwaters news.